Please join us this April for our next town-wide clean up. T-shirts and clean up kits supplied! Saturday April 27th and/or 28th, 2019 between 8:30 a.m. & 5 p.m.
​Registration is required so we have an accurate count for cleanup supplies and t-shirts. Kits can be picked up the Saturday morning of the cleanup from 8:30 a.m. to 11:30 a.m. at 385 Main St. (Lions Football Field.) While you are there picking up your supplies, please join us for refreshments! 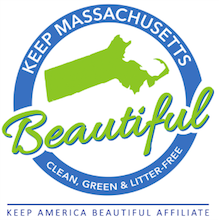 If you have any questions, please email us at: keepboylstonbeautiful@outlook.com.